On Sunday, 10 February 2019, from 7:00z to 19:00z IVAO Ukraine welcomes you on our next biggest, and this time the LONGEST event in the division's history - Kyiv RFE. 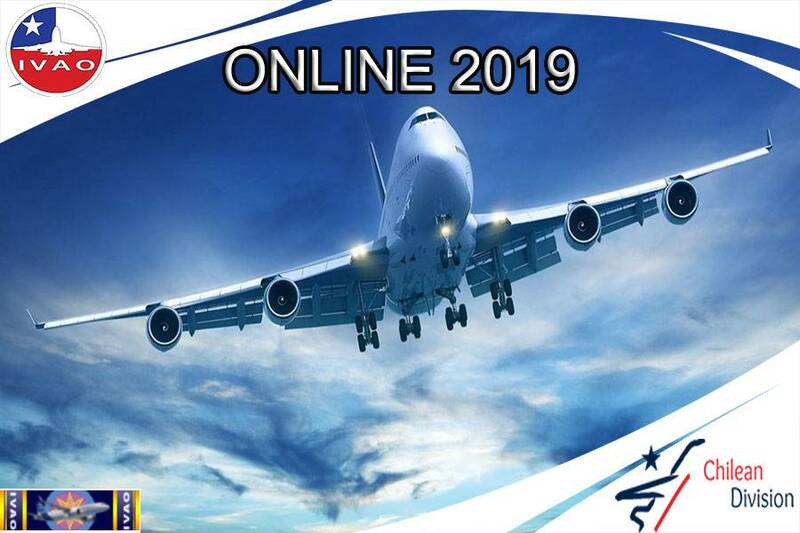 We're inviting single one to join us in 2 capital's airports - Boryspil (UKBB) and Zhuliany (UKKK) - to enjoy a half-day "as real as it gets", where full ATC service will be provided from the single place in the heart of Kyiv! Simply choose your favorite flight and book it! 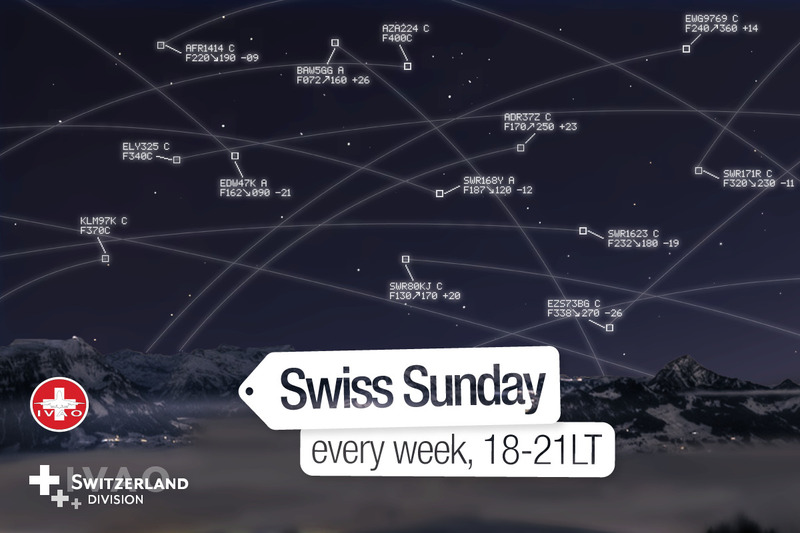 The Online day bows out, enters the Swiss Sunday! A new day, that we hope will be more suitable for most. After the typical hourlong family dinner, the pile of homework or the hours of doing nothing, come fill up the swiss skies! A blast of fresh air before diving back into the week. Bring over your wings to Switzerland and meet our beautiful airports. Come on to do some IFR between our main airports or take your VFR certified plane out of your hangar! For any flight, or ATC position, report your leg to win the ONLINE DAY AWARD ! 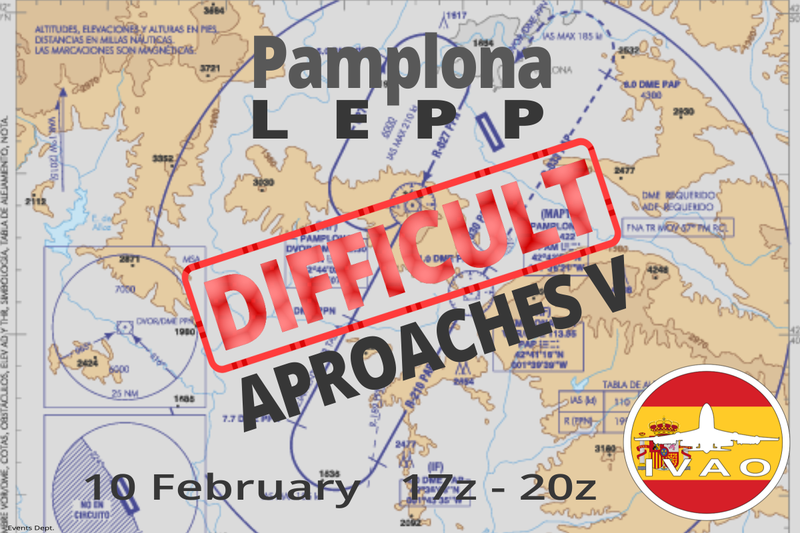 Fifth edition, "Difficult approaches", is coming in the beautiful airport of Pamplona, (LEPP), next 10 February 17z till 20z. 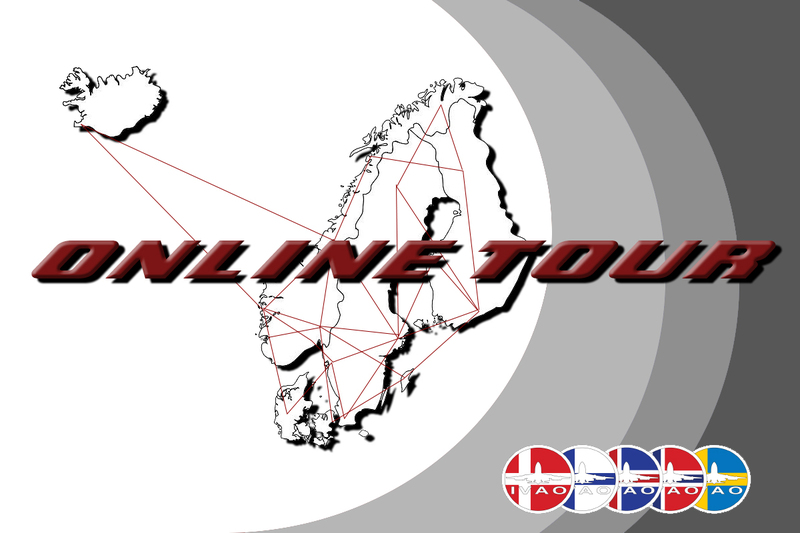 This weeks leg is between Stockholm and Helsinki. You may fly either direction or both ways.